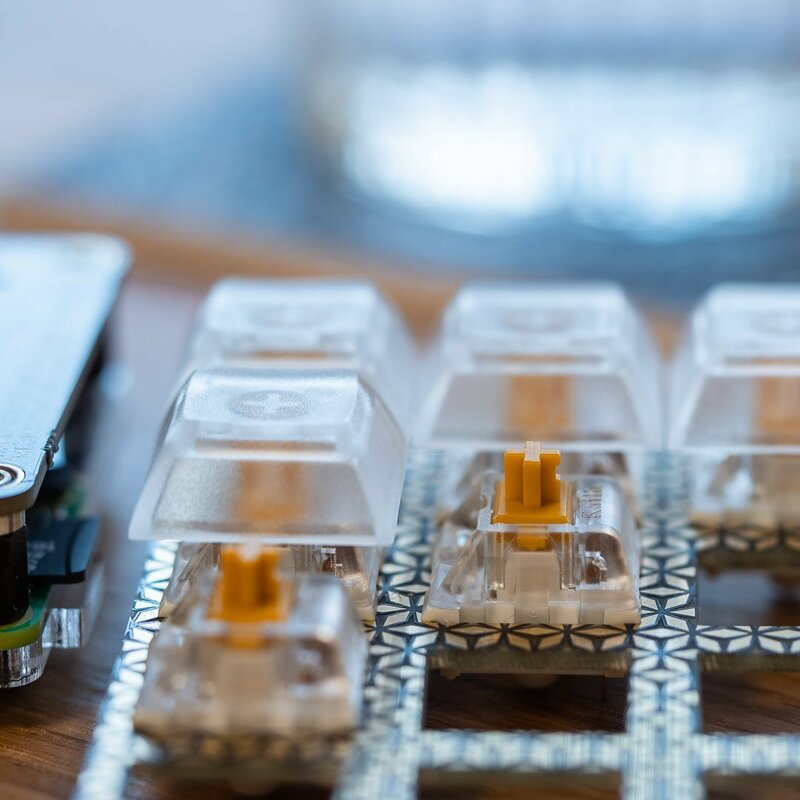 Keybow is an easy-to-build, solderless, DIY mini mechanical keyboard. 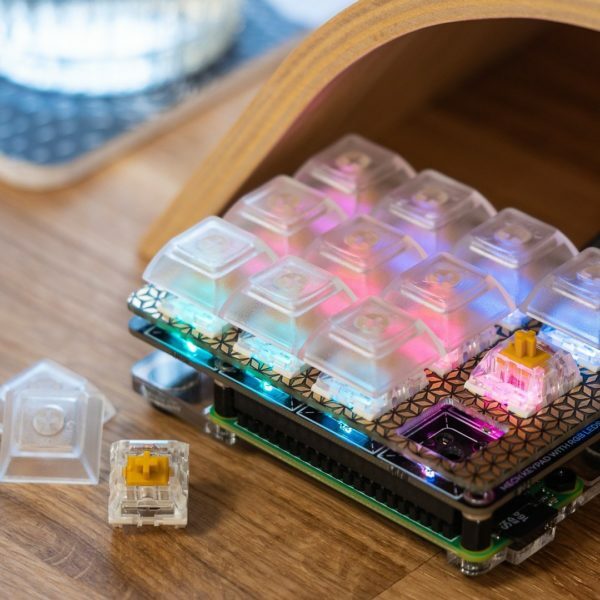 It’s Raspberry Pi-powered, with twelve illuminated keys, hot-swap clicky or linear switches, clear keycaps, and awesome customisable layouts and macros. 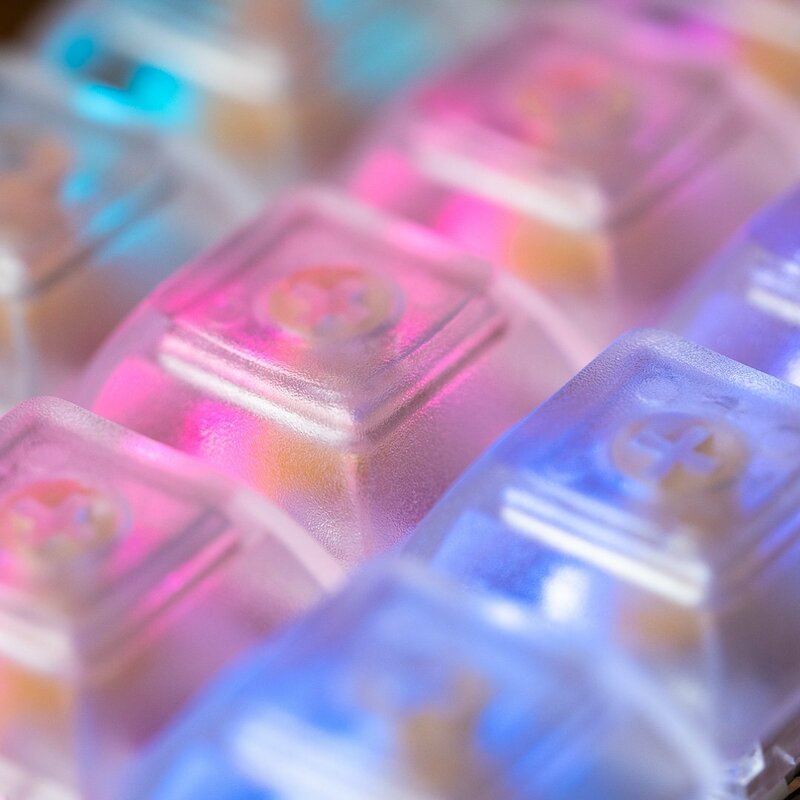 It’s the ultimate macro pad. 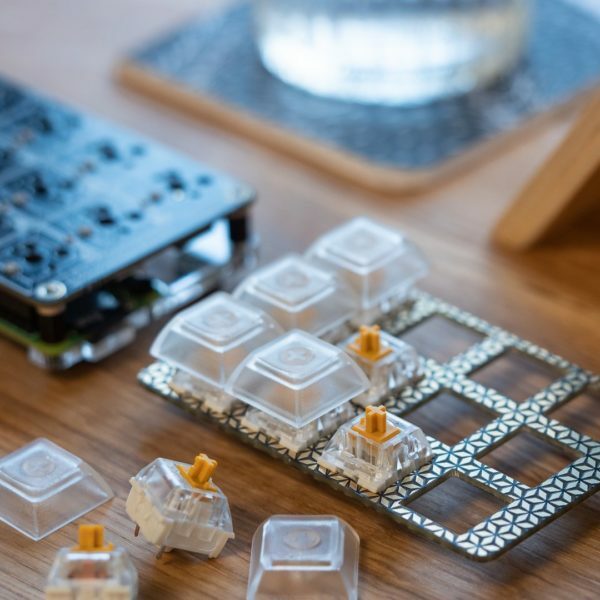 This kit has everything you need* to build your own mini mechanical keyboard. It’s a fun, affordable, first step into the world of mechanical keyboards, with high-quality clicky (Gold) or linear (Silver) Kailh Speed switches and clear DSA-profile key caps that look incredible when lit up with the per-key RGB lighting. 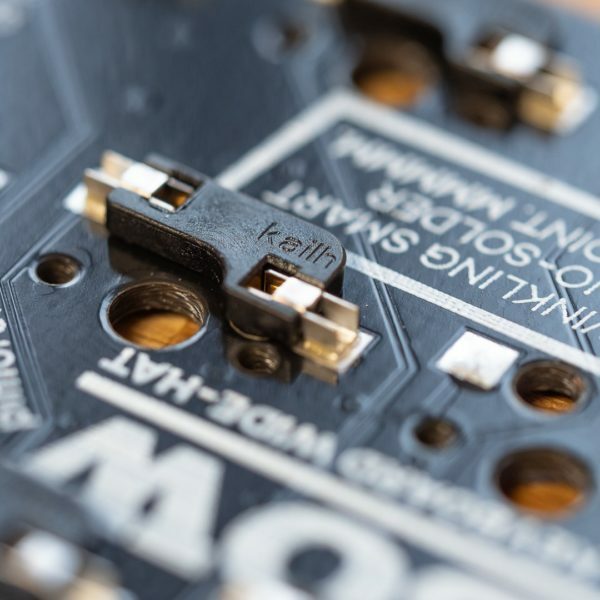 The fancy hot-swap Kailh sockets mean that there’s absolutely no soldering required! 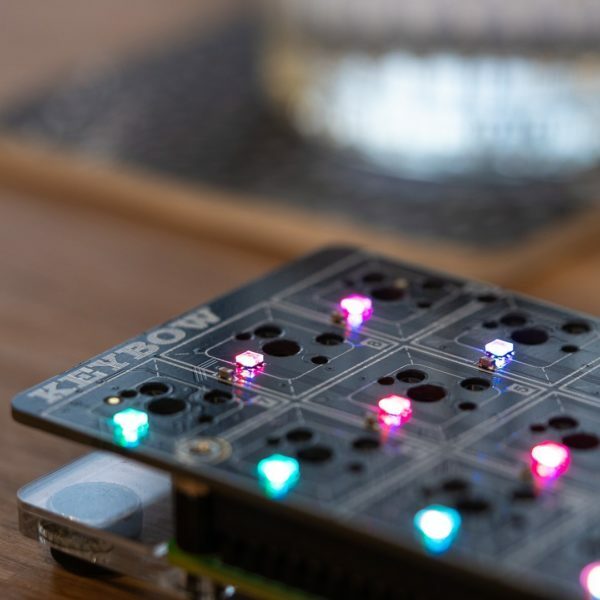 Use Keybow as a hotkey pad for your favourite program like Adobe Lightroom, a custom games controller, to trigger clips, tracks, or effects in Ableton Live, or to paste frequently-used text or code snippets. So, if you want to open your web browser and search for cat GIFs all with a single keypress, we’ve got you covered. Because all your key and lighting customisation is stored on the device, it’s completely portable too, meaning you can switch your setups between any machine you like. 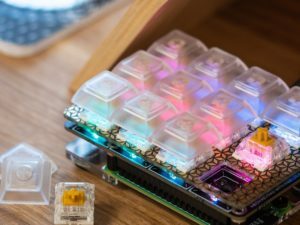 Keybow is powered by a Raspberry Pi Zero WH (with pre-soldered header), and uses the Zero’s USB HID gadget mode so that it appears as a real keyboard when plugged into your computer with the included USB cable. We’ve built a completely custom, stripped-down, RAM-disk-based Keybow OS with a Lua interface to customise the layout and lighting on your Keybow. It’s Windows, Mac, and Linux-compatible.